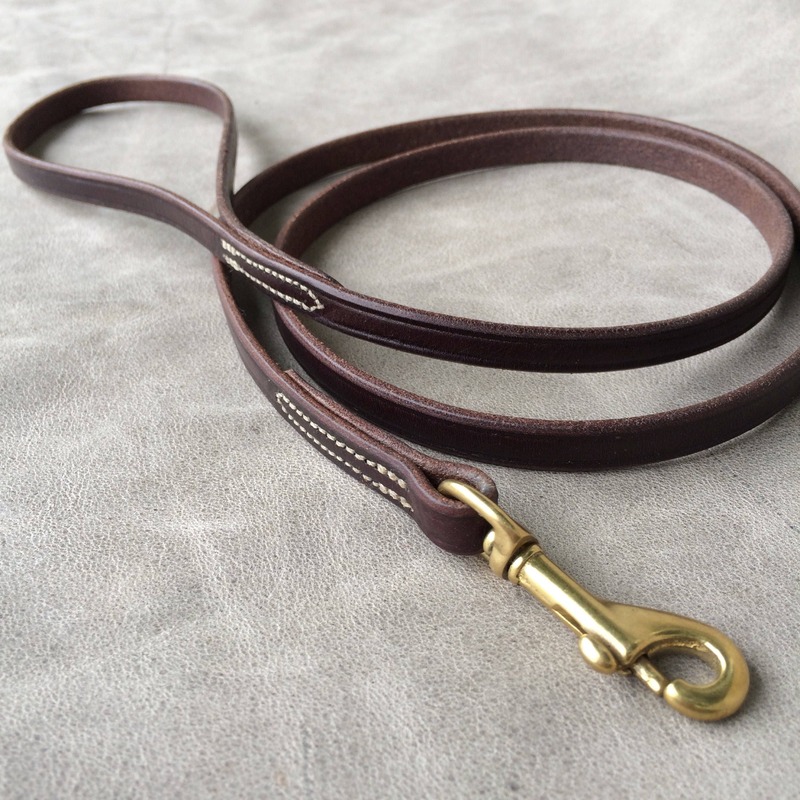 Equestrian style dog leashes made from high quality, English bridle leather. 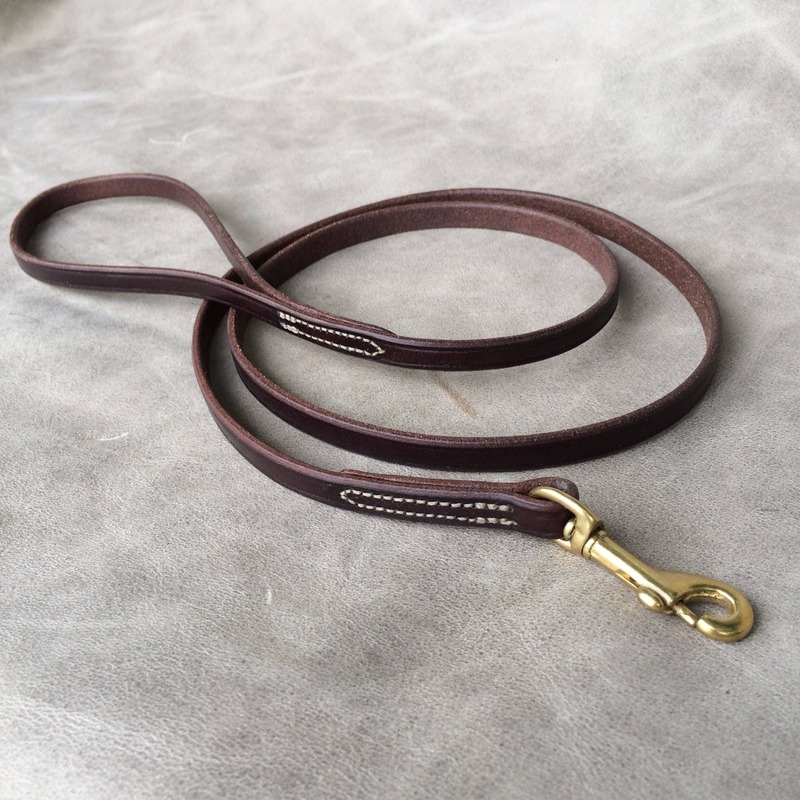 Each leash has just the right amount of oil with sealed, waxed and slicked edges. Also, comes with hand tooled border groove. Ask about our custom personalized name plates for leashes or collars. Great quality leather. Sturdy sewing and nice weight buckle. Made to last. Gorgeous, just gorgeous !! Had l known, l'd have bought all my dog leashes from you ! This leash is beautiful and so soft. Wonderful quality!